This dark brown, slightly moist Schmalzler impresses with its delicate tobacco note, which can almost be described as fine. The degree of grinding of this snuff is classified as medium. 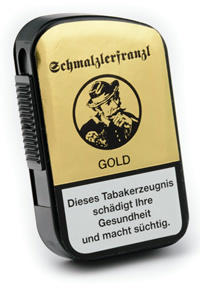 Connoisseurs appreciate its elegant aroma, which is supported by appealing tobacco sweetness and a chocolaty background.